Shippo lowers the barriers to shipping for businesses around the world. As free and fast shipping becomes the gold standard, better access to shipping is a competitive advantage for businesses. Through Shippo, e-commerce businesses, marketplaces, and platforms are able to connect to multiple shipping carriers around the world from one API and web app. Specifically, we look for culture and skill add from each team member. We believe in self-directed growth, putting away our egos, and rolling up our sleeves to get important work done every day. If that sounds like you, join our team and help build the foundation of something great. Everyone can take time off as needed without accruing paid time off (PTO) under a traditional plan. 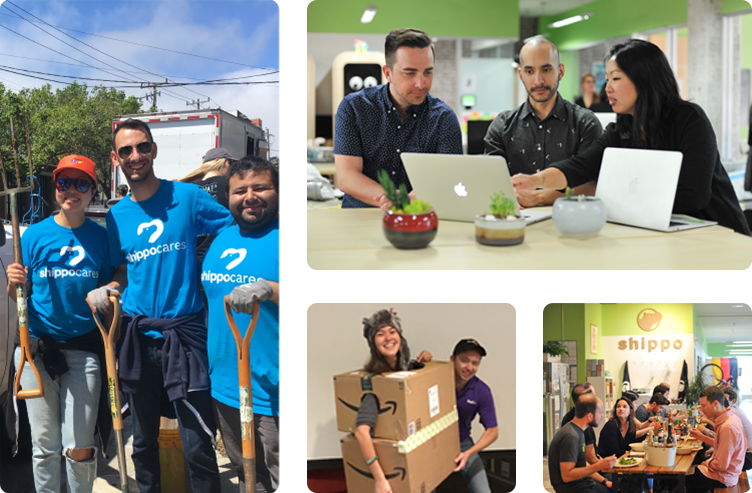 We offer company-paid lunches, snacks, and drinks to all employees at Shippo's San Francisco headquarters. We pay 90% of premiums for select medical, dental, and vision plans. We love our pets and welcome them in the office in a way that's respectful of all team members. We cover up to 12 weeks of paid parental leave. Shippo also covers one Shippo pacifier per baby. Each Shippo employee has a budget of $2,500 every year for conferences, training, and education.